If you are at the beach or in the bath, you need a way to dry off. 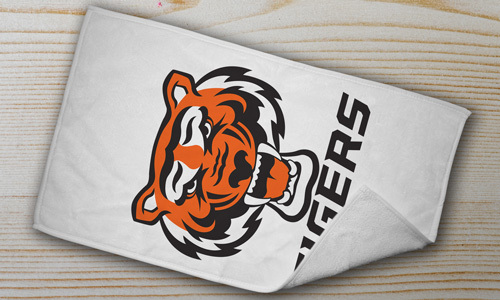 Our customizable towels are a great way to get dry in style! We offer 3 different towels, depending on your needs. Our A) 100% Polyester Towel (GOOD) is a lightweight towel. The B) 100% Polyester Plush (BETTER) towel is our most popular as it is very soft and absorbent. The towel has the feel of a soft blanket! 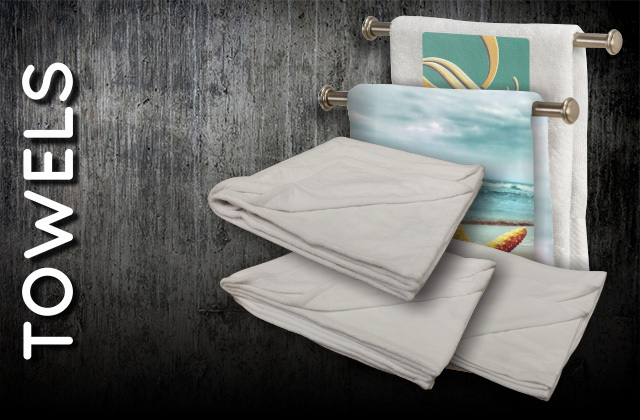 The C) 2 Sided: Cotton/Poly (BEST) towel offers the best of both worlds, cotton on one side and Polyester on the other. 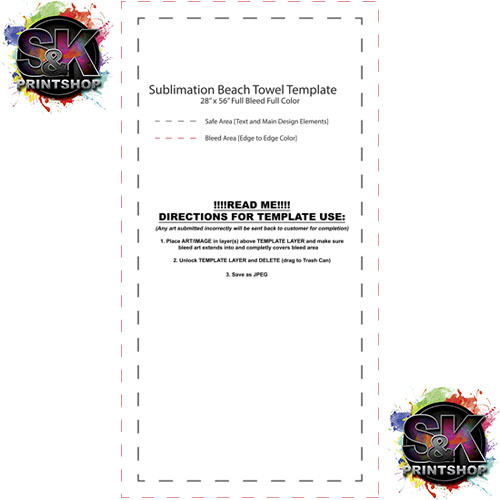 All of our towels can be printed with full bleed. 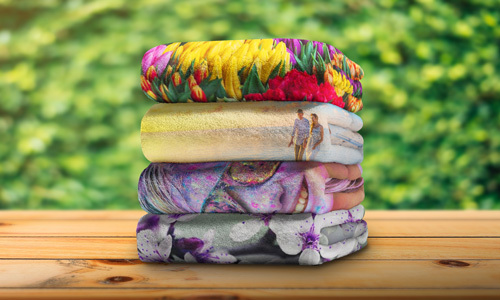 The towels we offer can be loaded with artwork from edge to edge. The (A) towel is a 28x54 inch towel and has more of a terrycloth type feel to it than our others. This is great for those with a budget. 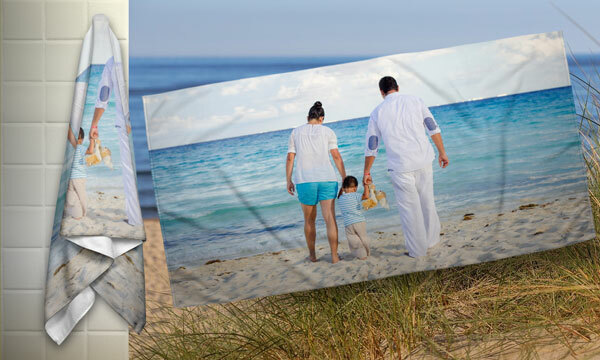 Our (B) and (C) towels are larger, 30x60 and are very thick and absorbent. All of our towels are white. NOTICE: Printing is only on the Polyester side! 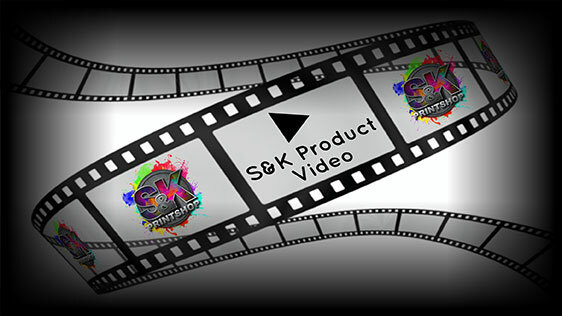 Click Here to get a FREE quote from S&K for next Towels printing job!